The long-term drift of magnetometers at geomagnetic observatories is calibrated by a non-magnetic theodolite. We propose a numerical method to evaluate such absolute measurements in a new, more general manner. It is more flexible and helps to identify and correct or discard erroneous measurements. We derive this method and give examples showing how it improves the quality and reliability of the calibrations parameters (the so-called baseline values) of an observatory magnetometer. To assess the performance of the developed EM receivers, this paper presents a multifunctional waveform generator with three waveforms: 1) a wideband, low-noise electromagnetic field signal to be used for magnetotelluric, audio-magnetotelluric, and long-period magnetotelluric studies; 2) a repeating frequency sweep square waveform for CSAMT and SIP studies; and 3) a “positive-zero–negative-zero” signal that contains primary and secondary fields for time-domain-induced polarization studies. This manuscript describes a next generation airborne radar that has the potential for estimating 3-D winds and also delineating regions of ice and liquid in clouds. It takes advantage of phased array and dual-polarimetric radar technologies for retrieving winds and detecting ice and liquid regions respectively. Engineering discussion in this manuscript forms the basis for designing an optimal phased array radar system. Rapid scanning using a phased array is a critical design requirement. The World Optical Depth Research Calibration Center (WORCC) has been established after the recommendations of WMO for calibration of aerosol optical depth (AOD) -related sun photometers. WORCC is mandated to initiate homogenization activities among different AOD networks and to run a network (GAW-PFR) of sun photometers. To calibrate such instruments aiming at low measurement uncertainties the quality assurance, quality control and a basic hierarchy have to be defined and followed. We present a new versatile datalogger that can be used remotely for a wide range of applications in geosciences such as environmental and groundwater monitoring or in applied geophysics. The recorded signals will be processed using a new software approach, which will improve the data quality for very poor signal-to-noise ratios. We show this improvement by comparing it with traditional software-algorithm-processing synthetic data sets and real data collected in the field. CÆLIS is a software system which aims at simplifying the management of a photometric ground-based network, providing tools by monitoring the instruments, processing the data in real time and offering the scientific community a new tool to work with the data. The present work describes the system architecture of CÆLIS and some examples of applications and data processing. Cosmic-ray neutron sensing (CRNS) is a unique technology to monitor water storages in complex environments, non-invasively, continuously, autonomuously, and representatively in large areas. However, neutron detector signals are not comparable per se: there is statistical noise, technical differences, and locational effects. We found out what it takes to make CRNS consistent in time and space to ensure reliable data quality. We further propose a method to correct for sealed areas in the footrint. This is a theoretical seismology paper which implements known algorithms for surface wave propagation across single, vertical discontinuities in 2-D media. 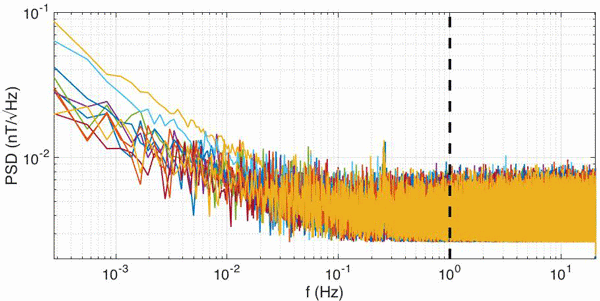 Seismic surface waves undergo mode conversion at lateral discontinuities and this paper describes a Python software package for accurate computation of these conversion effects, a novel feature not available in the existing seismological literature. This work was done during my PhD research in order to validate a finite-difference wave solver. Based on the morphological characteristics of the four dayside auroral types on images at the Chinese Arctic Yellow River Station (YRS), and by extracting the local binary pattern features and using k-nearest classifier, we make an automatic classification to the auroral images of the YRS and the South Pole Station and obtain the occurrence distribution of the dayside aurora morphology. The results indicate that these auroral types present similar occurrence distributions in the two stations. The paper presents the first results of ground penetrating radar investigation in the church in Kłodzko, Poland. The research was part of SEG Field Camp, which was organized by SEG Student Chapter Cracow and SEG Bucharest Student Chapter. The aim was to verify the presence of possible underground structures. Among the most important discoveries are previously unknown crypts. Results of the research might be helpful for future archeological excavations and other investigations in the church. The presence of magnetic fields in space dominate the way planets interact with different types of plasmas. Thus, measuring them is extremely important when studying space. We present an instrument capable of measuring magnetic fields at a fraction of the cost, power and size of traditional magnetometers. With this technology, a science-grade magnetometer for small satellites can be achieved, enabling the study of the space environment with large clusters of sensors in future missions.